Just four days after giving birth to her first child, Khloé Kardashian is sharing the details with her 75 million Instagram followers. The reality star posted a photo of a pink-hued room filled with flowers and balloons, announcing her daughter's unique, gender-neutral name in the caption: True Thompson. "Our little girl, True Thompson, has completely stolen our hearts and we are overwhelmed with LOVE," she captioned the photo. "Such a blessing to welcome this angel into the family! Mommy and Daddy loooooove you True!" True joins Dream, Stormi, Chicago, Saint, North, Reign, Penelope, and Mason in the growing Kardashian cousin clan, adding yet another unique name to the bunch. Congratulations to the new family! Khloé Kardashian is officially a mom. 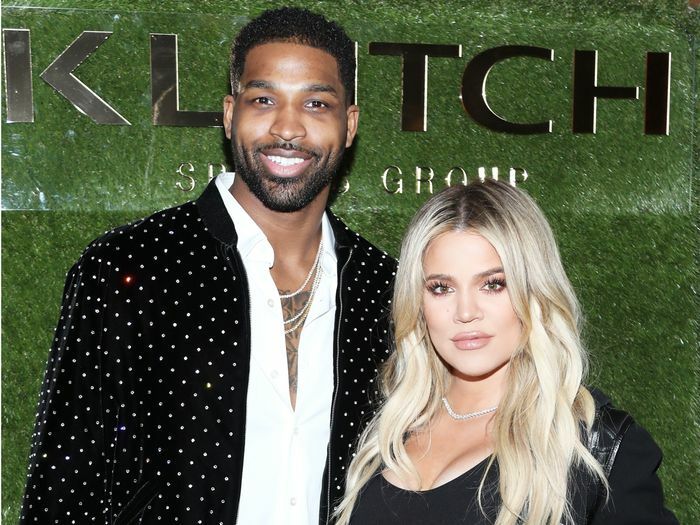 A source confirmed to People that Kardashian and Tristan Thompson have welcomed their new baby girl. Kardashian first announced her pregnancy back in December with the sweetest Instagram photo of her baby bump. "My greatest dream realized!" she captioned the photo at the time. "We are having a baby! I had been waiting and wondering but God had a plan all along. He knew what He was doing. I simply had to trust in Him and be patient. I still at times can't believe that our love created life!" Since then, she has shared every stage of her pregnancy with her fans, including her all-pink baby shower and the moment she found out she was having a girl. Congratulations to the new family!